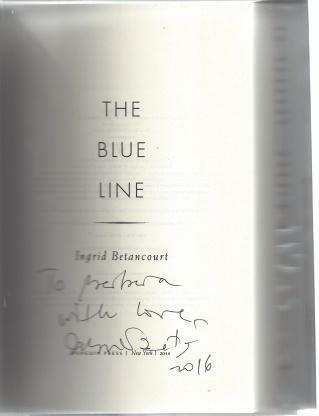 *AUTOGRAPHED/SIGNED* by Ingrid Betancourt with personalized inscription and note to Barbara on the title page. VG/VG. White illustrated jacket, dust jacket in archival plastic protector, approx. 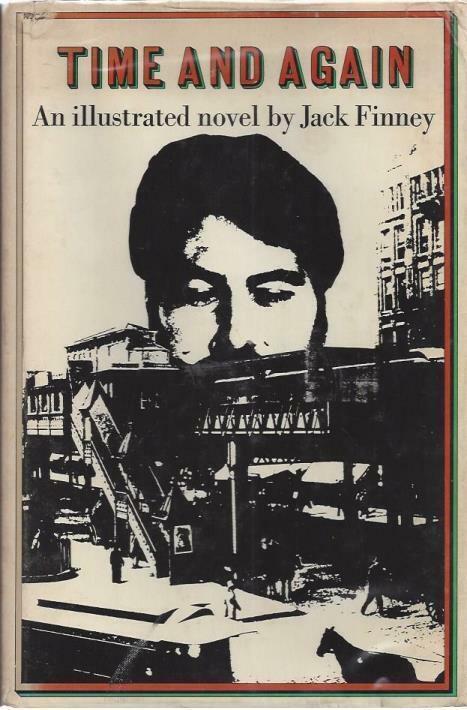 8.5'' x 5.5'', 359pp., very small creases to bottom spine edge, light grey smudges to bottom spine edge of jacket, light grey smudges/fingerprints to side page edges, very light shelf wear. GOOD/GOOD. black photo-illustrated jacket, dust jacket in archival plastic protector, approx. 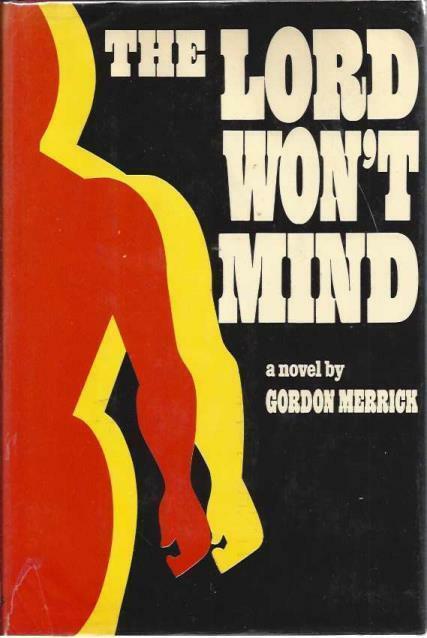 6'' x 9'', chips to spine edges and corners of jacket, original price sticker on back jacket cover, rub wear to edges of boards, slight spine lean, light stains to page edges. GOOD. small yellow book, bagged for protection, approx. 3.5'' x 5.5'', lightly stained and chipped spine near spine ends, lightly faded covers. VG/VG. 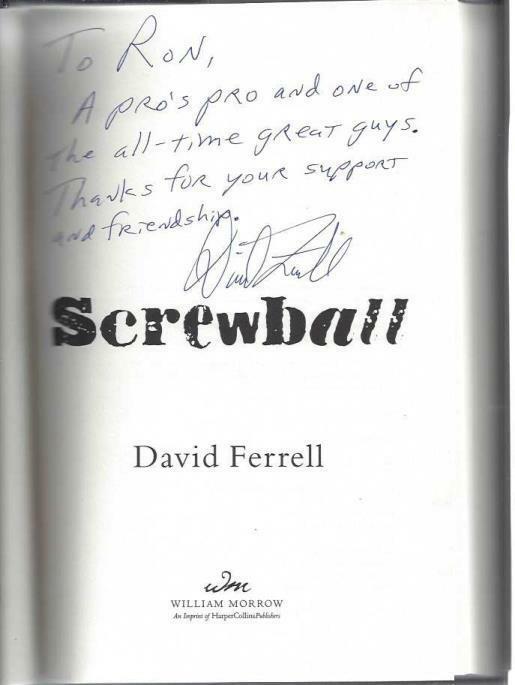 *AUTOGRAPHED/SIGNED* by author David Ferrel with personalized inscription and note to Ron on title page, black and green illustrated jacket, approx. 6'' x 9'', 307pp., very light shelf wear. GOOD-. Red illustrated cloth covered boards, approx. 7.5'' 5.5'' x 1.5'', faded spine title, very lightly faded covers, bumps/chips to spine edges, bottom edge and corners, rub wear spine hinges and covers, significant rub wear to bottom corner of back cover, pencil writing to top corner of fly page. GOOD-. Red illustrated cloth covered boards, approx. 7.5'' x 5.5'' x 1.5'', sun faded spine end, lightly sun faded covers, bumps/chips to spine edges and corners, rub wear and small chips to spine and covers, small pencil writing to top corner of fly page. GOOD/GOOD. Orange illustrated jacket, dust jacket in archival plastic protector, approx. 6'' 8.5'', 280pp., slightly sun faded spine title, small chips/creases to spine edges and corners, small closed tear to bottom front spine hinge, price clipped corner, very small pencil mark to fly page. GOOD-. Red illustrated cloth covered boards, approx. 7.5'' x 5.5'', sun faded spine, very slight spine lean/roll, bumps/fraying to spine edges and corners, few very small chips and rub wear to front and back covers, black stain to lower back cover, light rub wear to page edges, inner spine split between frontice piece and title page, inner spine split between pages 274 & 275. GOOD. Blue illustrated cloth covered boards, approx. 7.5'' x 5.5'', frontice piece with wax paper protector, sun faded spine, bumps to spine edges, edges and corners, light rub wear to spine hinges, very small chips and rub wear to page edges, inner spine split between fly page and 2nd blank page. GOOD-. Blue illustrated cloth covered boards, approx. 7.5'' x 5.5'' x 1.5'', frontispiece with wax paper protector, sun faded spine end, less faded front and back covers, scratch mark to middle of spine, bumps/chips to spine edges and corners, rub wear to spine hinges and covers, several small and medium white stains to back cover, scratch mark to right side of back cover, inner spine split between pages 116 and 117, rub wear to page edges, small black stain to top page edges. 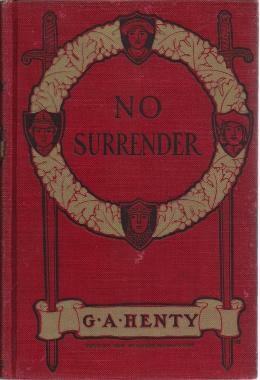 11 Henty, G. A. BERIC THE BRITON: A Story of the Roman Invasion. GOOD-. Red illustrated cloth bound boards, approx. 7.5'' x 5.5'' x 1.5'', several chips to spine end, sun faded spine end, bumps/chips to spine edges, edges and corners, spine lean/roll, rub wear to bottom of front cover, deeply faded spots to top of back cover and bottom corner of back cover, small chips/rub wear to page edges, small closed tear to top of page after fly page, small pencil writing to back of page after fly page, inner spine split between 1st and 2nd blank pages after fly page, inner spine split between pages 96 & 97, inner spine split between back cover and last blank page. GOOD-. Green illustrated cloth covered boards, approx. 7.5'' x 5.5'' x 2'', frontice piece with wax protector, slight spine lean/roll, sun faded spine, significant bumps/fraying to spine edges and corners, light to moderate rub wear to spine and covers, small white stain to top area of back cover, several inner spine splits, a few loose pages but no missing pages. GOOD-. Red illustrated cloth covered boards, approx. 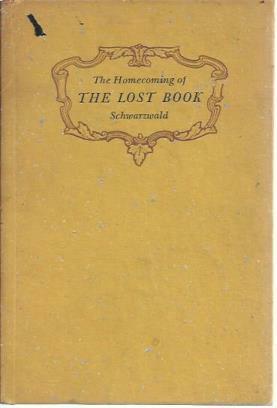 7.5'' x 5.5'', frontice piece with wax paper protector, slight spine lean/roll, sun faded spine, slightly sun faded front cover, bumps/fraying to spine edges and corners, significant rub wear to spine and both covers, few very small black and brown stains to both covers, inner spine split between half title page and following blank page, closed tear to top of half title page, no loose or missing pages. GOOD-. Green illustrated cloth bound boards, approx. 7.5'' x 5.5'', 381pp., frontice piece with wax paper protector, slight spine lean/roll, sun faded spine, bumps/fraying to spine edges and corners, sun faded front cover, few very small scratch marks to front and back covers, inner spine split between pages 366 & 367, faded page edges. GOOD. red mass market paperback, bagged for protection, light chips to edges of wraps, light shelf wear. GOOD+/GOOD. tan illustrated jacket, dust jacket in archival plastic protector. chips and small tears to spine ends and corners, light shelf wear, ink name on fly page. 18 James, G.P.R. The Gipsy: a Tale. GOOD-. undated, circa 1920, black and blue cloth boards with marbled end pages, bagged for protection, heavy exterior hinge split front cover, bumps to corners, chips to spine, shelf wear, foxing to pages. GOOD/GOOD. White and red illustrated jacket, dust jacket in archival plastic protector, approx. 5.5'' x 8'', 371pp., creases to spine edges, edges and corners of jacket, significant rub-wear to jacket, rub-wear to edges of boards, personal library stamp on fly page. 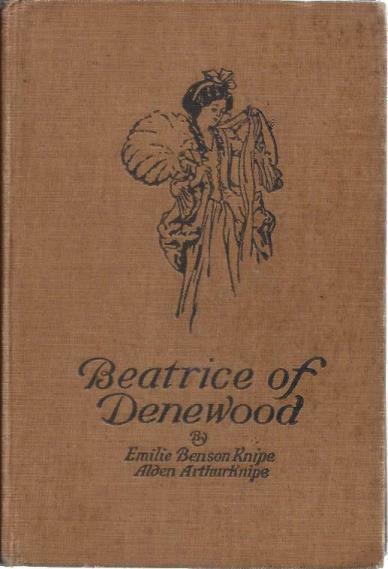 20 Knipe, Emilie Benson; Knipe, Alden Arthur Beatrice of Denewood: A Sequel to "the Lucky Sixpence"
GOOD-. 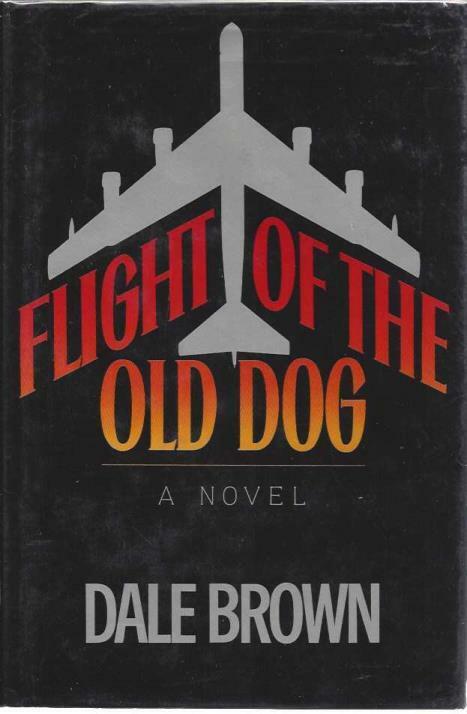 brown illustrated covers, no jacket, large hinge split interior front cover, detached fly page, foxing to covers and page edges, liquid stains bottom edges of beginning pages, rub wear to corners and spine ends.